The following is an advisory from the Nevis Electricity Company Limited (NEVLEC), regarding a scheduled power outage to facilitate upgrade of electrical lines in Charlestown. Hon. 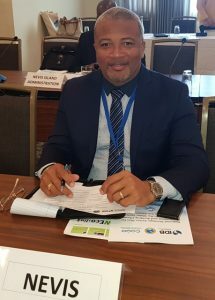 Spencer Brand, Minister responsible for Water Services in the Nevis Island Administration (NIA), pledged to continue to work with regional and international partners to make the water sector on Nevis climate resilient.